This spacious condo is the 3 bedroom floor plan in the gated complex of Cathedral Springs. 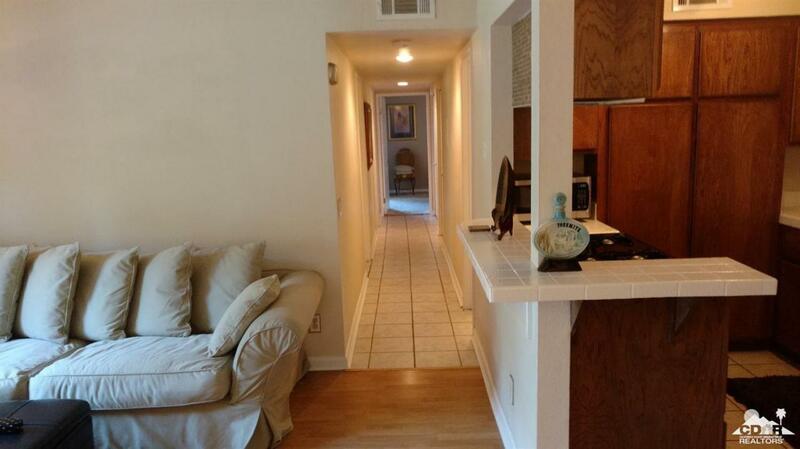 Perfect for investor since there is a tenant in place at $1400 a month. 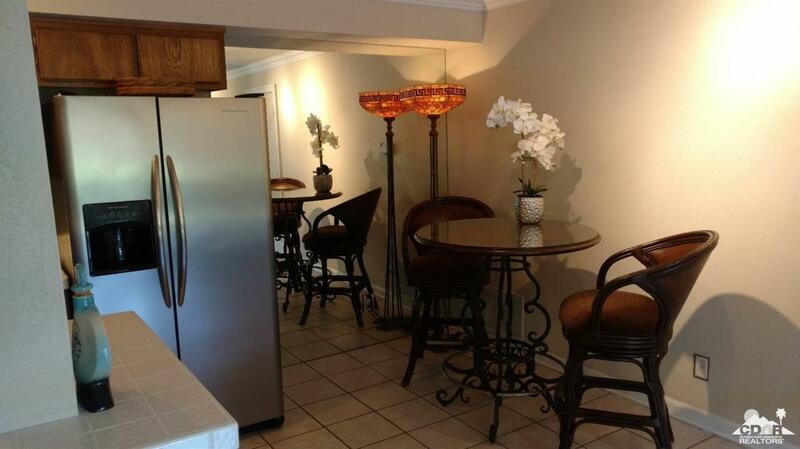 The interior location is quiet & peaceful and steps away from one of the 4 pools & 4 spas. Wood like laminate flooring living-room and bedroom that was used as an office, tile flooring in hall, kitchen and baths. 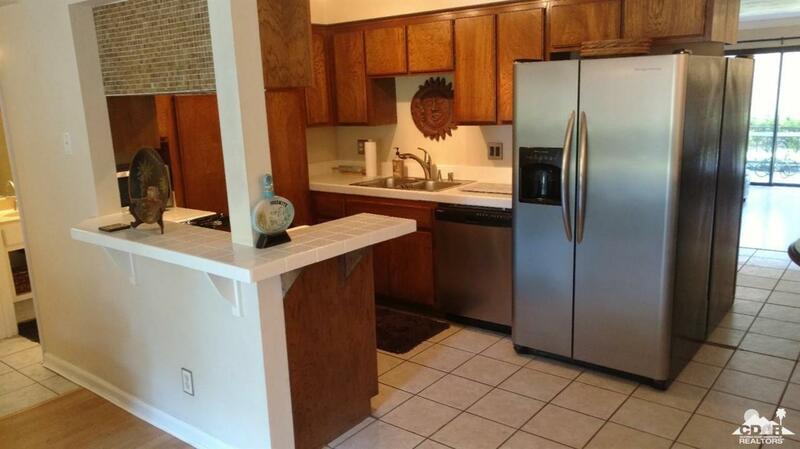 Refrigerator, stove, dishwasher, washer and dryer all included. The Master Bedroom has two mirrored closets & has sliding door that open to a large wrap around patio. Laundry in hall with full size washer & dryer. The 2nd bedroom has mirrored closet doors & direct access to the patio too. Cathedral Springs is a well maintained & managed complex. 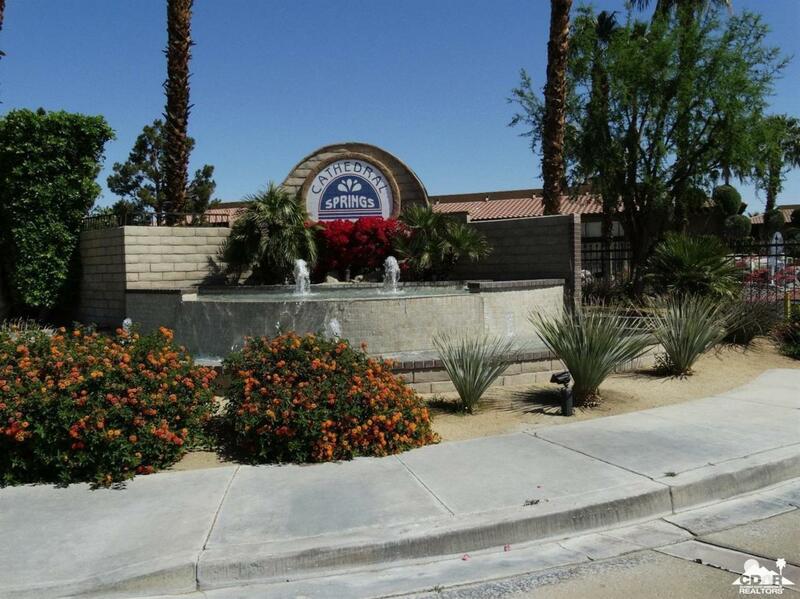 The location is minutes from the I-10 FWY, downtown Palm Springs & the Airport. Don't forget the 4 pools & spas, 2 tennis courts & exercise room! Listing provided courtesy of Debbie Greif of Re/Max Consultants.